We’re continuing walking with Thoughts, walking the self-forgiveness and self-commitment statements regarding the acceptance, allowance and within that realisation and responsibility in one’s relationship to thoughts, with the consequence as well as the solution to what we have become in our self-definition to/as thoughts and thinking. 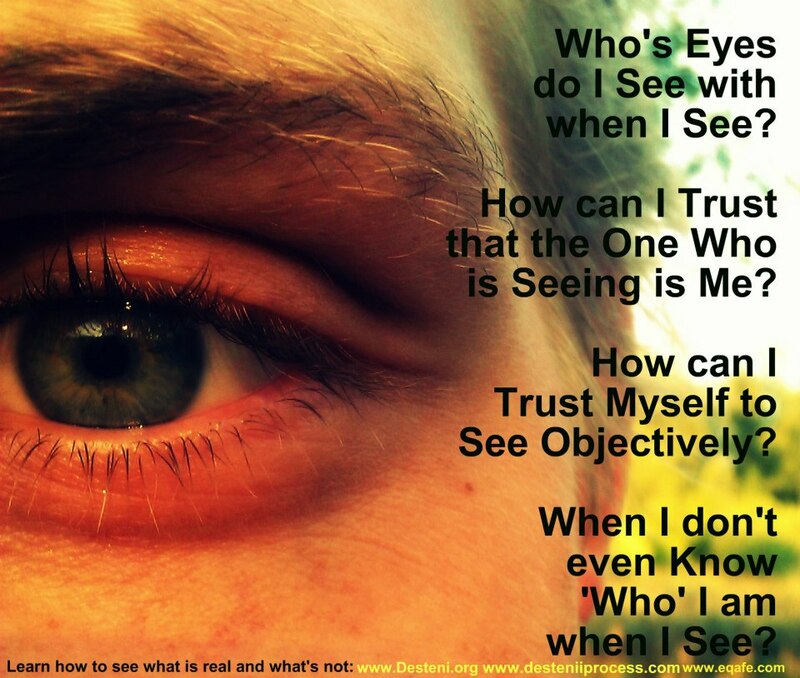 In this post, we’re specifically walking the relationship between Thoughts and Self-Definition, within the context of having a look at what Thoughts in fact says about ‘who we are’ with the extent of trust/belief we place in our thoughts, in the sense of seeing, realising and understanding how our thoughts reflect the nature of ourselves in fact. Like thoughts are individual pixels of an entire screen reflecting parts of ourselves and then we at the same time continue participating in thoughts in and as the trust/belief that what the thoughts contain and represent is-us as all that we’ll be. Never seeing, realising and understanding that there’s an entire system behind within and behind the thoughts/individual pixels, as the rest of the pixels representing an entire screen and the scene/movie within it. With the scenes moments of our personalities/characters interacting/participating in ourselves and our lives and the movie our life-experience that is currently being directed/produced by/through Consciousness: automatically ‘playing out’ within us and before us. Not seeing/realising/understanding how we in fact have the capacity/responsibility to change the scenes, and so the movie and so the characters/personalities within them to be/become the director/producer of the movie of our life as-ourselves. But, at the moment – we’re not seeing the ‘total picture/movie’, we’re not seeing all the pixels and EVERYTHING that’s playing out in every scene as the entire Movie of our lives within/as the Mind that we’re simultaneously narrating/scripting through and as Consciousness with all our ‘props’ as thoughts, reactions of emotions/feelings, memories etc. ; as all this is currently happening in the subconscious and unconscious mind as directed by Consciousness. We’re only seeing parts of ourselves, individual pixels as thoughts, for example and sometimes get a ‘glance’ of our characters/personalities from/of the scenes of the movie of ourselves when we become possessed with backchat/internal conversations and/or reactions of emotions/feelings. It’s interesting, ‘cause it’s like we’re ‘too close’ to the Mind – placing our eyes for example in front of a television screen like, RIGHT in front of it – you’ll see the detail of only the pixels, but not the entire scene playing out in the movie or the characters/personalities in the scene. Thus, with Desteni – we’re ‘taking that step back’ within ourselves, aligning ourselves into equality and oneness with the physical, which would be the structure of the pixels, the television, the machinery that makes it works – to be able to stand equal-to and one with the content/substance of the pixels, the scenes and the movie as the Mind, to in/as this be/become the director-producer of/as the scenes, the movie and so the characters/personalities within it. That we no more exist as controlled by/through consciousness that’s been narrating our lives/self-definition FOR us through the script of the characters/personalities and the consequences this has brought to humanity where no human being in fact know ‘who they are’, because all we see is pixels/thoughts, fragments of the total nature/existence of ourselves and then furthermore enslave ourselves within believing/trusting that thoughts is all there is to who we are and not seeing to what extent we have to walk in ourselves to really in fact change the nature of the human/ourselves. I forgive myself that I haven’t accepted and allowed myself to see, realise and understand how and why thoughts in fact represent individualized, pixelated parts of/as myself – when looking at the Mind as a television screen with scenes/movie playing within it and the actors/actresses my personal characters/personalities I constructed/created within and throughout my life through the Mind, with Consciousness the producer/director as creator of this movie, its scenes and the characters/personalities I come to embody within and throughout my life. With the structural manifestation of the Television representative of the Physical-Body, the scenes/movies representative of/as the content of the Mind in the physical-body/structural manifestation of the television and the characters/personalities the actors/actresses that animate the scenes/movies through the pixels/television as I come to embody the Mind in and as the Physical-Body. I commit myself to show, how we have within and throughout our lives, not been aware of how we have produced/directed our own movie playing out/existing as the Mind, with its scenes as moments of physical-interactions in reality where we play-out Characters/Personalities as positions of actors/actresses, that we only have an ‘awareness’ of individual pixels as thoughts/fragments of the personalities/characters as internal conversations/backchat and reactions of emotions/feelings: not at all seeing the entire design of the personalities/characters, not at all seeing the entire scene playing-out as the total scene from which the pixel as thought originate from/form part of. Because we have not in fact been here, self-aware in the creation of the movie of our lives as what has done this FOR us, is ourselves as Consciousness – an automated awareness from a system of the Mind that has come to narrate, direct, produce and create the entire movie of our lives and the characters/personalities within it, so that all we’re in fact aware of, while our movie/scenes is playing out within us in ‘real time’ – is our Thoughts/individualized pixels / fragments of/as the totality of what is in fact manifesting in our subconscious and unconscious/physical-Mind. I commit myself to show, what self-awareness thus would mean – in that, we’d be able to ‘trace’ a thought/pixel to an entire scene as an interaction/embodiment of a personality/character in the Mind and within that the original script/narrative as memory/past experience that manifested the character/personality of the Mind into being. Essentially the process thus, of what we’re walking with writing, self-forgiveness and self-corrective application – establishing the framework/design of ourselves as the entire Mind/Movie with walking word by word, step by step through the dimensions of the mind as thoughts, memories, reactions, internal conversations/backchat, getting to know how we scripted ourselves into characters/personalities through Consciousness, to at the same time change ourselves from only existing in an movie of the Mind, to in fact living in and as equality and oneness with and as the Physical, here. I forgive myself that I haven’t accepted and allowed myself to see, realise and understand why/how it is that Thoughts represent only pixels of/as the real/true nature of/as myself, and this goes for both the good/positive and bad/negative thoughts that occupy my Mind – with its detailed content, actually in fact detailing the nature of/as who I am and what/how I live. That, I forgive myself that I have accepted and allowed myself to believe that – just because I can be selective of my thoughts, I am apparently in control of ‘who I am’, that I have for so long believed that ‘I am my thoughts, only’ and so in and as the Conscious Mind domain of thoughts where I approach them selectively / can approach them selectively, this apparently determine the ‘power / control I have of me/who I am’. In this, I forgive myself that I haven’t accepted and allowed myself to see, realise and understand the illusion of this apparent power/control, as the very thoughts I have in fact originate from/of entire Personalities that are functioning in/as my Subconscious/Unconscious-Mind as an entire multi-dimensional/interdimensional system in the Physical that singular thoughts in fact represent/reflect. And so the thoughts that manifest in my Mind are simply moments/fragments/pixels and so I do not in fact have ‘choice’ within/between the thoughts that manifest in my Mind as they are already predetermined by/through an already existent system as personalities/characters solidified in and as my Subconscious and Unconscious/Physical Mind. With the illusion of choice in/as my Conscious Mind, being within and between the nature/content of thoughts, which most human beings primarily do with going to the extremes of only paying attention to ‘positive thoughts’ and denying/ignoring/blaming the negative-thoughts onto/towards others/external forces. Not ever seeing, realising and understanding that ALL thought in/as one’s Conscious Mind originate from/of SELF and self only and is attached/connected to/as an entire personality/character that self-developed within/as one’s own mind through/as consciousness within and throughout one’s life; that evolved within oneself and so function through the components of thought, memory, energy, internal conversations/backchat and behavioural patterns. I commit myself to show, why/how it is that we do not have ‘choice, control or power’ in and as the nature/content of and as the thoughts that manifest in and as our Conscious-Mind, as they are in fact simply only pixels, parts of and as entire Personality/Character Systems existent/manifested/infused into and as our Subconscious and Unconscious Mind in and as the Physical-Body, where the actual controlling/influencing of ‘who we are and what/how we live’ happen/manifest. That we only believe we have control/choice in and as our Conscious Mind in our relationship to Thoughts, because we’ve believed it’s all that we are, and so all that our awareness has become. And so, I commit myself to show – within and as the walking of/as the Desteni I Process, one is practically guided through the Mind, ‘taking a step back’ to in fact see the extent of the Mind ‘behind/beyond’ the thoughts that occupy the Conscious Mind into and as which our awareness has been limited. Within the Desteni I Process, one is practically assisted and supported in how to identify Personalities/Characters, get to know them in seeing the detailed blueprint of/as how one created/scripted self into and as specific Characters/Personalities in and of the Mind that’s come to manifest as thoughts in the Conscious Mind. To within this process, walk the process from consciousness to the awareness, the mind to the physical – to no more exist as only a movie playing out on the screen of the Mind in the Physical, but in fact be/become a self-aware directive-principled being that LIVE. We’ll in the next post continue with the process of change from consciousness to awareness, in having a look at what this change practically means, with existing in the limitation of one’s relationship to thoughts only, to actual equal and one self-aware living in, as and with the physical body.